"To begin with I was in love and I am in love so that's not hard," Barbara Bush told her granddaughter Ellie LeBlond Sosa. Sosa had asked for the secret to her and President George H.W. Bush's 77-year love affair that withstood World War II separation, a leap of faith into the oil fields of West Texas, the painful loss of a child, a political climb to the highest office, and after the White House, the transition back to a "normal" life. Sosa and co-author Kelly Anne Chase paint the portrait of the enduring relationship of George and Barbara Bush. 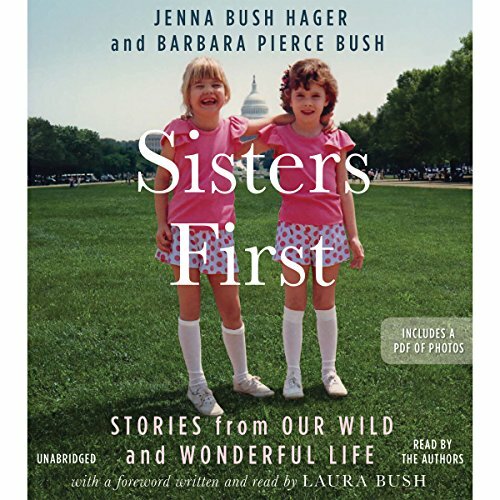 Funny and poignant personal stories and reflections from former first daughters Jenna Bush Hager and Barbara Pierce Bush. 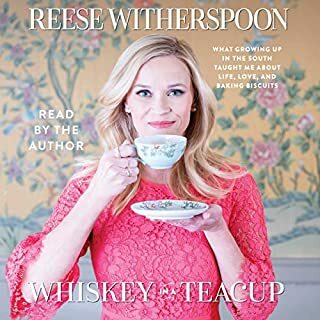 In this book, they take listeners on a revealing, thoughtful, and deeply personal tour behind the scenes of their lives, with never-before-told stories about their family, their adventures, their loves and losses, and the special sisterly bond that fulfills them. If you like autobiographies and the sound of the authors' reading, this is a touching collection of many stories beyond politics. 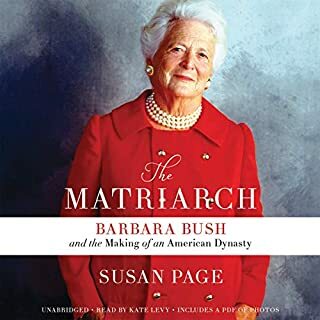 The Bush Girls establish their own independence and tell stories of their remarkable parents and grandparents ability and determination to raise them in a healthy home despite their fishbowl life. What was one of the most memorable moments of Sisters First? To learn that after Barbara experienced heartbreak, her father texted her every morning with supportive words, a Bible reference, or just an emoji. She would text or emoji back. I told my husband how much it means to our daughter to do likewise and he took that to heart and started making contact every morning with her and they are closer. George W, regardless of his position, is a warm-hearted father who adores the women in his family and shows what Love is. Any negative opinions of him melted away and my respect for him grows. He truly does care for and honors veterans. 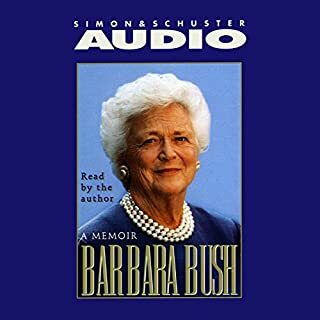 When the girls ordered peanut butter sandwiches from the staff at the White House from the bowling alley by phone to the staff when their grandfather was president, and instead they got a personal visit by their grandmother Barbara Bush who informed them they were guests and to never ever do that again. It was something I would have done as a kid probably, but Grandma had her standards and demanded respect for others and for the White House and the office of the presidency. Touching. Their Grandfather, President Bush, greeting Jenna and placing his hand on her stomach on Christmas day in the hospital when his condition turned grave and him telling her he couldn't wait until he met the new baby.. She broke down crying and believed he would never meet her child, whereas, his wife, Barbara talked nonstop about how he was going to meet the baby and all the things he had yet to do, that he could not die, and he didn't. Also, it was touching to hear one of the girls state that every night, the President and Barbara Bush hold hands when falling asleep. Having children about their age, and hearing all that they did, as normal kids do, I recognized how normal they were, as well as mine were, and how much our children mature and come back to the nest and their roots with love and loyalty and greater understanding. I did not vote for their parents and grandparents, but I adore and respect them greatly, so don't shy away from this book as it is sans politics--a good lesson in today's atmosphere. Also, I am in admiration and in awe of Barbara's dedicated work for AIDs resources in our country and Africa. I want my children to do the same--be caring human beings and taking care of our planet near and far and their family. I needed that inspirational book and was so moved that I donated (unasked) to their organization for global health. This memoir by the fraternal Bush twins has the forward by their mother, Laura Bush. Jenna Bush Hager is a correspondent for NBC’s Today Show and Barbara Pierce Bush is CEO and founder of Global Health Corps. 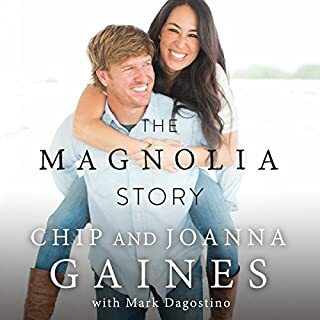 They discuss their early life in Midland Texas and attending high school in Austin, Texas when their father was Governor. They tell about life in the Governor’s Mansion and in the White House. The book is full of heartwarming anecdotes as well as humorous ones. The reader gets a glimpse into the life of the Bushes as well as that of the senior Bush family. Barbara “the Enforcer” Bush has several great one-liners. They discussed the effects on the family watching their maternal grandfather decline due to his Alzheimer’s disease. This is not a political book but a family story. The book is six and a half hours long. 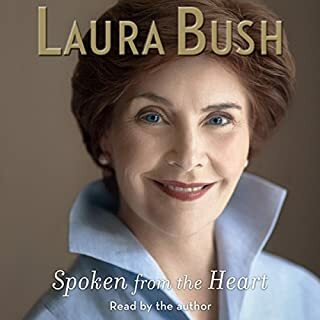 The Bush twins narrated the book. Great to hear their stories in their own voice. It seems to make the book more personal. I have watched these girls through the years. I didn’t keep up with them much because I was busy raising my own two girls here in Texas. I am proud that they’ve grown to be movers and shakers in their own worlds. You can take the girls out of Texas but you can’t take that true Texas spirit out of them. Thanks girls for trying to make the world better place. Engaging stories from the inside. I've always wondered what it's like to be a twin, and to grow up in a famous family. Barbara and Jenna are both sweet and tough, and not all what you would think. Barbara is an activist who believes in marriage equality, planned parenthood and voted for Hillary Clinton in 2016. Jenna is an Independent who seems to have a real passion for teaching and story telling. Growing up in politics they were always taught to do what was in their hearts as opposed to the party line. They obviously love their parents, who in turn adore them. They discuss early childhood, growing up in the spotlight with a president for both a father and grandfather, what it was like for them on 9/11, the current election, dealing with college and secret service, Ganny Bush who is a badass, etc. They both seem like such well rounded, compassionate women. The stories do have a tendency to jump around. One minute they are kids in Texas, the next adults in NYC. It can get a little bit confusing if you are not giving it your full attention. I loved this book. It was fascinating to learn about the behind-the-scenes life of this family. All politics aside, anyone, and particularly sisters and women will enjoy this book. These two women are relatable and inspiring. An uplifting read. Enjoy! I enjoyed the book and it was interesting to hear a bit of "behind the scenes", but felt it jumped all over timeline wise. This book is so beautifully written and deeply personal. It was a joy to read. I didn’t follow the bush girls but do remember the world events through which their experiences are strewn in this light, personal account. Hearing Laura, Jenna and Barbara P read added so much more than just reading it would have. I am reminded that we are often not presented with all the facts in the flow of information—-news to entertainment hype. I listened to 'Becoming' by Michelle Obama before I listened to 'Sisters First'. 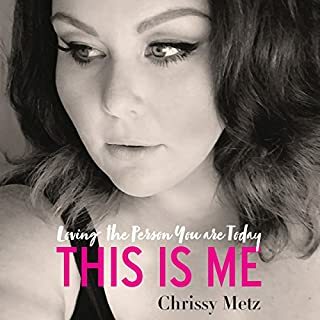 I realized, listening to Becoming, that listening to a memoir is so much more personal that reading it. I loved both girls, and I was reminded how many things we share as human beings, even if we don't share political ideas. I loved the girls, and their parents, their grandparents. Again, I felt like I was siting down, sharing a coffee and talking with these beautiful ladies. Heartwarming and so uplifting about twins the White House years and lots of great smiles and laughs.